"You can't bring me here and expect me to just hate her like you do." FilmRise has debuted the first official trailer for an indie family drama titled Mountain Rest, which is the feature directorial debut of a music video director named Alex O Eaton. The film is about an aging actress named Ethel, played by Frances Conroy, who has sequestered herself in a cabin in a small mountain town for years. She calls her estranged daughter and granddaughter home for reconciliation and one final celebration, resulting in a strange and surprising weekend. The cast includes Natalia Dyer (from "Stranger Things") and Kate Lyn Sheil (from "House of Cards"), plus Shawn Hatosy, Joshua Brady, Karson Kern, Alphie Hyorth, and Audrey Turner. This looks like a very intimate and emotional "art house" drama mainly for the film festival crowd. After years without any real contact with their mother, estranged daughter Frankie (Kate Lyn Sheil) and granddaughter Clara (Natalia Dyer) pay a visit to aging actress Ethel (Frances Conroy) at her mountain cabin in a small town. The visit ensues into a strange and surprising weekend of fantasy, disillusionments and an extravagant party. 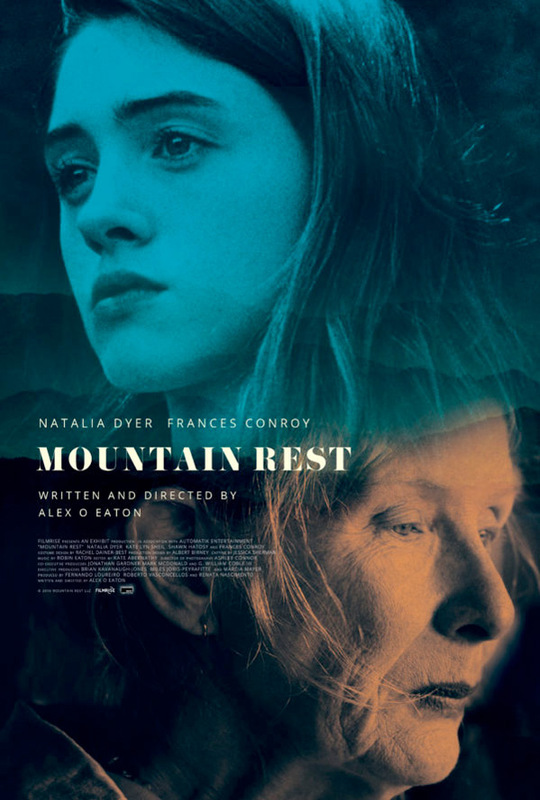 Mountain Rest is both written and directed by American filmmaker Alex O Eaton, making his feature directorial debut with this film after making music videos for years previously. This premiered at the Nashville Film Festival earlier this year. FilmRise will release Eaton's Mountain Rest in select theaters + on VOD starting December 7th coming up this fall. Anyone interested in seeing this?